An era has ended. 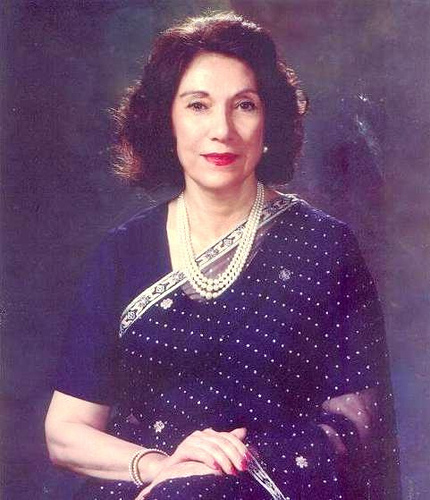 Begum Nusrat Bhutto passed away on October 23rd in Dubai. We have lost a true icon – this was a woman of honor, an elegant and fearless woman who exemplified bravery following the horrific murder of her husband, Shaheed Zulfiqar Ali Bhutto. She was his stunning wife of Iranian heritage, constantly at his side as a supporter and advisor. 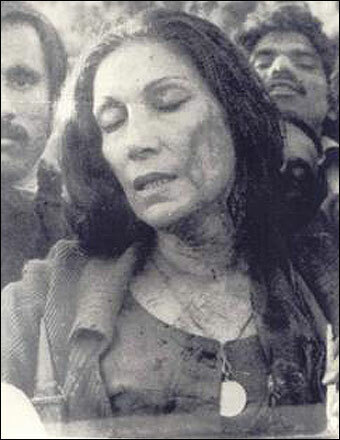 Her grace in the wake of his murder kept the Pakistan People’s Party united and strong in its darkest days yet. As Chairwoman of the PPP, she led the progressives continuously fighting for a democratic state. With her guidance, the movement for democracy in Pakistan was not allowed to fade away into the pages of history, as General Zia would hope. Instead, the PPP continued working, down but not out. She was a welcome sight often at the side of Prime Minister Benazir Bhutto. One can only imagine the bittersweet feeling of accompanying her daughter the way she used to her husband. The deaths of her sons, Shahnawaz Bhutto (under mysterious circumstances in 1985) and Murtaza Bhutto (killed by police in 1996) took a toll on her none of us can imagine. After the death of Murtaza, she withdrew from public life. It was later revealed she was suffering from Alzheimer’s Disease. She had been living in Dubai with Shaheed Mohtarma Benazir Bhutto in her last years. Nusrat Bhutto lived a life dealt too many traumas and tragedies. Through it all, she held her head up high, always proud of the work of her husband. She galvanized the PPP, not just in word, but in deed. She faced Zia’s brutal regime like a rock, refusing to back down and facing beatings by his thugs. Pictures of her being beaten outside Gaddafi Stadium speak volumes about the strength of character. She was a beacon of strength for the progressives then, as she is an eternal inspiration for us now. It is often said Pakistan’s real strength comes from its women. If that is true, then we all work in your shadow, Begum Sahiba. Rest in peace, noble lady.